DELAND, Florida -- A 33-year-old Florida man was charged Tuesday with lewd or lascivious exhibition for masturbating in plain view on a passenger train. The defendant, Daniel Michael of Marathon, FL, is accused of exposing himself in front of a young child during the incident. According to deputies, Michael’s explanation was that his covers were moving back and forth because his stomach was itchy. 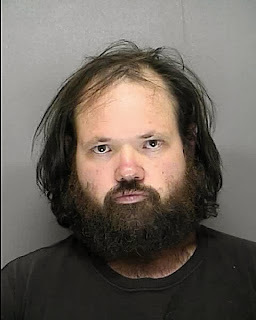 Deputies say that he later acknowledged to them that he might have accidentally ejaculated on the bathroom floor. Michael was arrested for lewd or lascivious exhibition in the presence of a victim under the age of 16 and transported to the Volusia County Branch Jail in Daytona Beach.